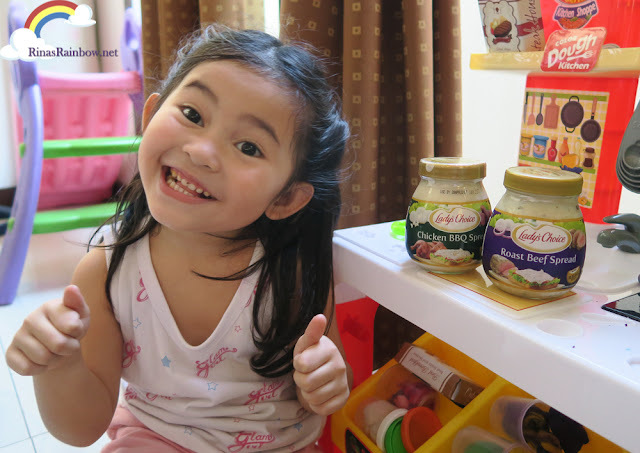 Rina's Rainbow: Lady's Choice New Flavors Gets Two Thumbs Up from Rainbow! Sometimes she takes it with her to school as baon, but sometimes its also her after school merienda. Because the new flavors are extra special, you can make tons of sandwich recipes with it. 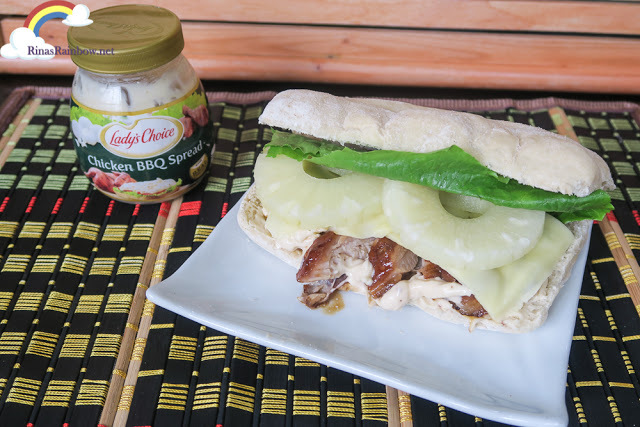 Like making a Hawaiian BBQ Sandwich with the Chicken BBQ spread flavor, to scrumptious roast beef sandwiches with the roast beef flavor. I know I've said it before, and I'll say it again. 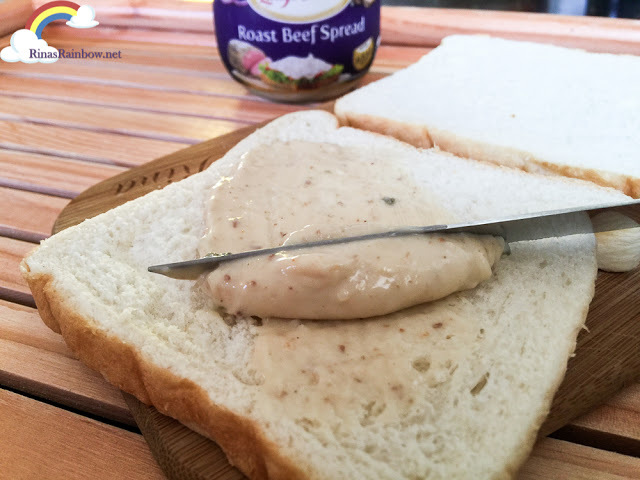 The spread is so tasty that you can make a meatless sandwich and the taste of the spread will compensate for the absence of the meat. Really! This also cuts your preparation time in more than half. Perfect for busy mommies! It's a relief to think that we can make a quick but and delicious and filling snack for my hard-working school girl. 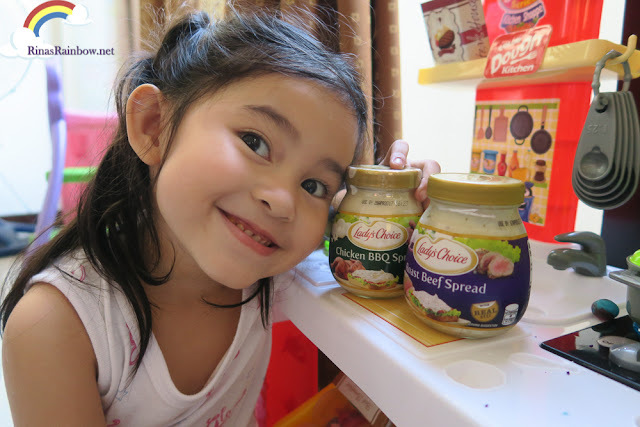 Thanks to Lady's Choice Sandwich Spreads. Thank you Lady's Choice for making mothers' lives easier! Follow Lady's Choice on Facebook for more fun recipes for you and your family!